Lots of great race meeting coming up over the next few months but it’s a tricky occasion to dress for and we sometime overthink it! 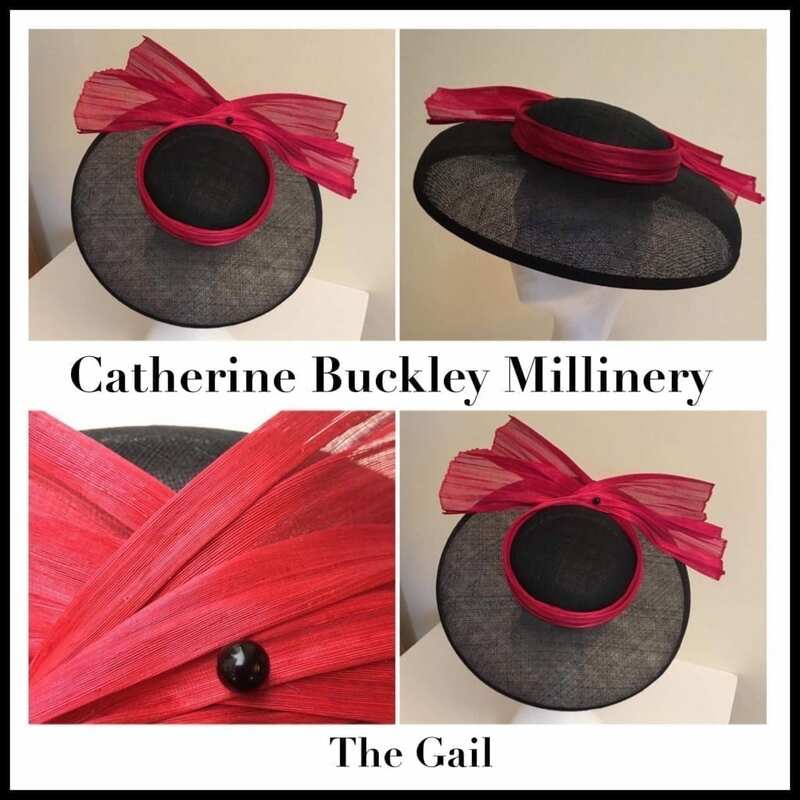 So I’ve put together Gails Rails five PERSONAL STYLING RACING TIPS, to help you stand out from the stylish racing crowds for all the right reasons! 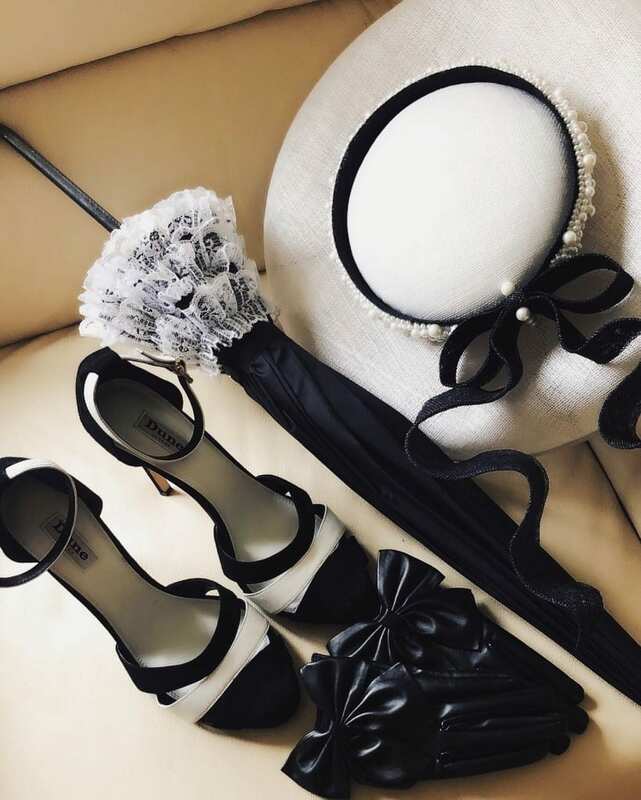 Along with some outfit inspiration looks that are Ladies Day worthy. Consider the complete look especially accessories and headpiece which can completely transform a simple outfit! 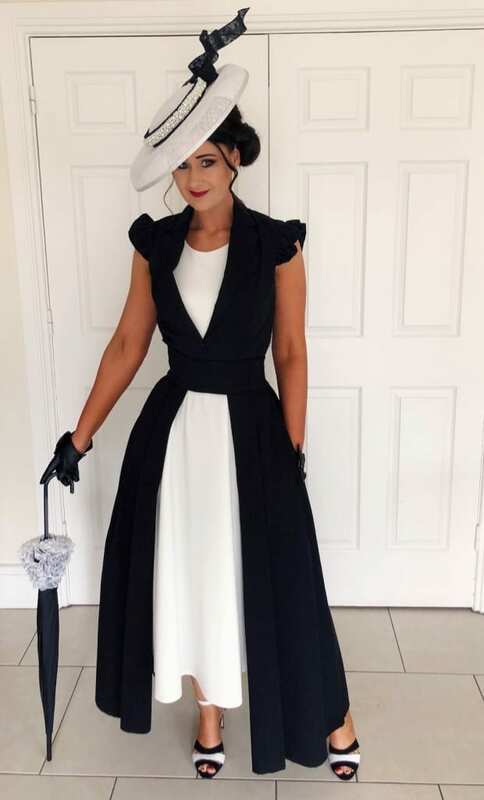 Monochrome is outfits for the races is still my all time favourite! Think…. Audrey Hepburn from My Fair Lady. 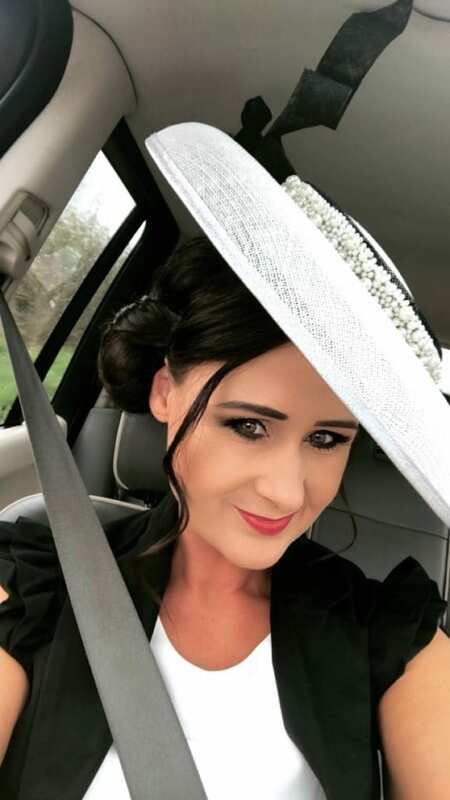 2- A HEADPIECE IS A MUST IN MY OPINION – This season, delicate headbands and crowns are still one of the most popular headwear. I personally love a large brim headpiece, worn to the side in block colours or monochrome. But also love pearls, fresh-cut flowers, feather detailing and try experiment with tulle or silk options and make your own stunning creation to be completely unique. 3- DRESS CODE – It’s important to keep it classy and dress for the races, not a nightclub. Hemlines should be at or below the knee, and never wear anything too short or too sparkly. Avoid anything too tight, revealing, strapless or midriff-baring! Do consider trousers or a jumpsuit as well but not shorts! And keep in mind that the races are a daytime event, so be wary of materials and shapes that spell-out evening like metallic or sequins. You want to stand out from the crowd for the right reasons. 4- EMERGENCY ESSENTIALS – You don’t want any wardrobe, makeup or hair malfunctions on the day, so bring extra bobby pins, a safety pin, eye drops (as it can get breezy and cause havoc with your eye makeup) party feet, a portable phone charger and a travel size deodorant to keep fresh. 5 – HAPPY FEET – Obvious right!!! But if you truly want to enjoy your day, comfy shoes are a must! Because you will be in your feet for most of the day!! As much as you want to look great at the races, make sure you dress for comfort. You don’t want to be that girl holding her shoes at the end of the day! I like wearing shoes with a ankle or crisscross strap for support and obviously shoes that I have broken in. If you think you will be walking over grass, do keep in mind that a thicker heel is a more practical option. I also suggest a mid/height heel – No sky scrapers!